Walls and racks can be some of the most battered areas in a warehouse or production plant. To safeguard against accidents due to machinery bumps, drops, or employee-error, these areas should have facility protection. As part of the industrial protective products line, GEI Works offers protection solutions for metal racks, I-beams, and facility walls. Rack Protector 5 3/8" x 3 1/4" x 15 1/2"
(136 mm x 83 mm x 394 mm) 1.5 lbs. Corner Protector 5 5/8" x 5 5/8" x 42"
(143 mm x 143 mm x 1,067 mm) 5 lbs. I-Beam Protector 7 1/2" x 8 1/2" x 36"
(190 mm x 216 mm x 914 mm) 8.5 lbs. Wall Protector 2" x 6" x 48"
(51 mm x 152 mm x 1,219 mm) 7 lbs. Want to see what other industrial protective products GEI Works offers? Visit the Facility Protection page. Questions about an edge guard? We can help! Call the GEI Works team at 1-772-646-0597 or fill out our quote request form to discuss your wall edge protection requirements. The polyethylene rack protector, designed specifically for metal warehouse racks, protects from forklifts, pallet jacks, and other equipment. The racks must be no wider than 4" for the edge protector to fit. Using a strong rare earth magnet, the edge guard secures directly to the rack with no other installation process necessary. The yellow and black safety stripes ensure drivers and other personnel see the rack. Multiple protectors stack on top of each other for security all the way up the rack. The corner guard limits damage occurring on corners of industrial facilities, warehouses, and storage locations. Corners are often prone to nicks, dents, and scratches; these industrial protective products safeguard the wall at the most vulnerable protector corner to prevent costly repairs. Installation on almost any type of protector corner is fast and easy with the included hardware kit. The corner edge protector is constructed of a thick polyethylene material high in strength and resistant to rust, corrosion, bumping, and scratching. 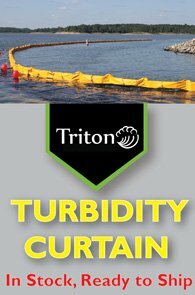 Yellow in color, the corner guard has increased visibility, which is particularly helpful in facilities requiring frequent product movement, lifting, or transportation. The yellow I-beam protector is specifically for the protection of exposed I-beams found in industrial facilities, manufacturing locations, and warehouses. Constructed of polyethylene, these industrial protective products are high in strength and capable of extended or long-term use. I-beam protectors have a modular design. Each individual edge protector features a groove that fits on to one flange of the I-beam. Several units can be installed around the I-beam or even stacked on top of each other for site-specific protection requirements. The mold of the groove grips the flange tightly, making installation fast and efficient; there's no need for straps, ties, or other securing equipment. The wall protector safeguards wall areas prone to frequent bumping, denting, and scratching. Commonly hit areas have buffers between the machinery and the protector wall. These industrial protective products defend against hand trucks, forklifts, and other moving equipment. Every wall protector comes with a hardware kit, making installation as simple as possible. The wall protectors are made from a durable polyethylene material that is high in its resistance to incoming vehicles, as well as rusting, denting, and corrosion. Protectors are typically a bright and noticeable yellow — warning incoming vehicles of the protector wall. The protector significantly reduces maintenance repair costs, damages, and work place accidents, keeping facilities safer, cleaner, and running smoothly. Questions about industrial protective products? We can help! Call the GEI Works team at 1-772-646-0597 or fill out our quote request form to discuss your requirements.